What’s the one thing almost everyone knows about the Arctic? Think red pantsuit, chubby checks, and the ability to make children squeal equally with delight or fear. Yep, that’s right; Santa lives at the North Pole, and it’s this beloved champion of the North that Greenpeace USA recently used to rally more people to its Save the Arctic campaign. Called the Santa Relocation Project, the campaign was launched by Greenpeace USA with pro-bono services from advertising agency BBH to generate awareness of Arctic sea ice loss in the run up to Christmas, and bring new people to the Save the Arctic Facebook page. What follows is a run-down of the experimental new campaign, and what’s in store to make next year’s even better. 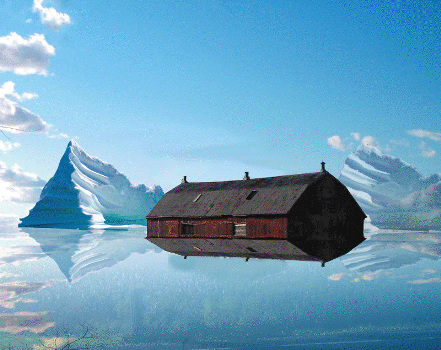 “Cozy, well-kept property for sale, situated just 20 miles from the North Pole. This 4-building compound sits on 300 pristine arctic acres (as of last winter). Owned for generations by a family of toymakers,” the ads say. Mysterious notices began appearing in mailboxes in Australia, India, the U.K. and New Zealand letting people know this may be the last year the postal service would be able to deliver mail to the North Pole. The notices told people to visit www.santarelocationproject.com to learn more, which redirects to Greenpeace’s Save the Arctic Facebook page. James Turner, head of communications for the Arctic campaign, says the Craigslist ads and mailbox notices generated a buzz, with influential journalists like Grist blogger David Roberts and Treehugger journalist Brian Merchant tweeting that Santa was putting his home up for sale. An Australian journalist wrote an article about the mail sticker notification and a radio show in California commented on the curious Craigslist ads. 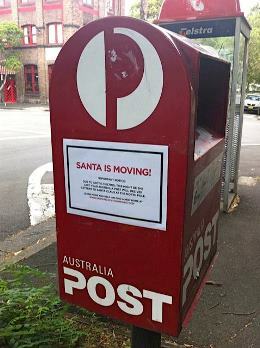 A notice letting Australian residents know Santa is moving. If the North Pole melts, Santa will have to move. So where do you think he should go? That’s the question Greenpeace posed to its readers on Facebook and Twitter a week after the ads and notices suggested he’ll be moving soon. James says they received hundreds of responses, mostly on Facebook, with people suggesting Santa should live on the moon (and travel by rocket), India, the Amazon, even their grandmother’s house. With support from BBH, the campaign was able to hook Entourage star Adrian Grenier, who said in a short videothat Santa should live in New York so he can jam with Adrian in his basement. James says asking people were Santa should move to was light-hearted way to engage people who may not normally take interest in Greenpeace. While the posts didn’t generate more comments or shares than traditional animal Save the Arctic posts (Santa Relocation posts averaged 500-3,000 likes), James says it’s likely that different people were responding. Several comments called out Greenpeace for using a beloved children’s figure for their own ends, and James says this is a risk worth measuring before taking on a popular meme. In the case of the Santa Relocation Project, James says they were very careful to maintain the dream. James adds engaging children is absolutely crucial to the future of the Arctic. In fact, he says children are often more concerned about climate change than their parents, and more willing to do something about it. Almost all of the Greenpeace responses were liked using the heart symbol, which James says is about the limit of interaction available on Instagram. The Santa Relocation project was an experiment and James says even with its time constraints and limited uptake as a result of staff priority to Greenpeace’s Detox campaign the project was a measured success. In the three-week process the Save the Arctic page gained more than 6,000 new likes as well as media articles from around the world. More lead time: James says with more notice there is an opportunity to gain more influencers to the campaign, from well-known children’s authors to other celebrities. The Santa Relocation Project is a lighter topic than other Greenpeace campaigns, and could be a low barrier to entry for stars to get involved. 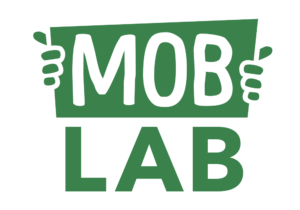 Attention to detail and visuals: For the most part, people responded positively to the campaign, which James credits to the ad agency BBH’s hours walking through the campaign tactics, discussing how people would react, and adjusting accordingly. They also designed stunning visuals that James says were instrumental in drumming up interest in the campaign. Translate materials into different languages: Santa has global appeal and making the materials — such as a designed Craigslist ad — accessible in a number of languages will be key to engaging a global public next year. Ready to become an Arctic Defender?